Here's where to watch every episode of The Fugitive season 2. Mouseover or tap an episode to see where to stream it. Click or tap the play icon to stream it on the best available service. Man in a Chariot Sep 15, 1964 Kimble happens to watch a TV debate in which a once-renowned attorney, named G. Stanley Lazer, claims that he could reverse Kimble's criminal conviction if the case went back to trial. Lazer once a respected lawyer, had his license revoked after getting into a car accident years before while driving drunk in which his wife was killed. Lazer now spends his days teaching law at a small college in Harrisburg. Kimble travels to Pennsylvania and meets with Lazer and his assistant, Nancy Gilman, to enlist their help. To prove his theory, Lazer decides to conduct a mock trial with his students playing the prosecutor, defense lawyer, and jury in front of a live TV audience. But while the mock trial continues, Kimble becomes aware that Lazer is really putting himself on trial for his past misdeeds. World's End Sep 22, 1964 Kimble answers a classified ad from a certain Ellie Burnett, the daughter of his former defense attorney. They arrange to meet in Kansas City to discuss the information she received about a one-armed man from a private detective hired by her father. But Gerard sees the ad and knows who wrote it because he and Ellie's father were close friends and that Ellie may be in love with Kimble. While Gerard has Ellie investigated, she and Kimble find out that the one-armed man was killed in a fire only a week before. Kimble is devastated, but vows to confirm it. A little later, Ellie's private detective informs her that the one-armed man whom died in a fire was actually in prison at the time of Helen Kimble's murder. But Ellie withholds this news from Kimble and convinces him that they should leave the country, realizing that this may be her only chance at a life with him. Man on a String Sep 29, 1964 While walking on the road late at night, Kimble comes to the aid of Lucey Russell after her car has broken down. As a gratitude, she provides him her place to stay for the night. But the next morning, the police find the dead body of Lars Adams, a married man whom Lucey has been having an affair with only a few feet where her car broke down. As a result, Lucey is arrested for Lars' murder. Lars' wife, Amy, realizes that her husband was killed accidentally, but after learning of his philandering with Lucey, Amy decides that Lucey should take the rap. Kimble realizes that he can prove Lucey's innocence, but testifying for her could jeopardize his own freedom. When the Bough Breaks Oct 6, 1964 While hoping freight trains, Kimble meets a young woman named Carol Hollister with her baby whom she is traveling to meet her husband. But Kimble doesn't know that Carol is a mentally disturbed young woman whose newborn baby died a year earlier and she has abducted another baby. Soon, Carol becomes so far gone that she mistakes Kimble as her late husband. Kimble must find a way to get the baby away from Carol and return it to it's rightfull parents while avoiding the police looking for her. Nemesis Oct 13, 1964 Kimball escapes from his workplace at a hatchery just as Gerard and the local sheriff come to arrest him. As Kimball drives off in the sheriff's car, he discovers that Gerard's son is hiding in the backseat. Tiger Left, Tiger Right Oct 20, 1964 While working as a gardener on the estate of a wealthy couple, Mike and Laura Pryor, Kimble is mistakenly abducted by Harold and Irene Cheyney. Harold is a Korean war veteran and former factory worker whom lost the use of his legs after a truck owned by the Pryor's company hit him. After writing several letters to Mike Pryor asking about work and disability compensation, none of the letters were answered, so Harold decides to kidnap Mike for a $100,000 ransom. But since Harold and Irene have never met or seen Mike Pryor they happedned to abduct Kimble instead after seeing Mike's son, Glenn, give more affection to Kimble than his distant father. Tug of War Oct 27, 1964 Kimball is working on a farm when he is captured by a sheriff and his deputy. The two men start fighting about how and when to turn Kimball over to the authorities-and one of them will go to any lengths to make sure he gets the credit for the capture. Dark Corner Nov 10, 1964 Kimble finds refuge from the police in a rural farm house, where he meets Mattie Braydon, a sculptress who suffers from hysterical blindness whom lives with her older sister and their uncle. Mattie protects Kimble and while hiring him as a farmhand, she also begins using him as a model for her clay sculptures see keeps in the barn. But Kimble soon finds out that the sweet and innocent Mattie is in fact a possessive and manipulative sociopath who wants Kimble for herself and will do anything, including committing murder, to ensure her dark secrets of her past never get revealed. Escape Into Black Nov 17, 1964 On the verge of closing in on the shadowy one-armed man, Kimble is renderd amnesiac after a freak gas explosion at a roadside diner. While the Fugitive fights to regain his memory, a struggle ensues at the local hospital between Margaret Ruskin, a sympathic social worker whom regonizes Kimble and belives him to be innocent, while a local physician, named Dr. Towne, belives Kimble to be guilty. Meanwhile, the one-armed man slips away, but not before he makes an anonymous phone call to the police and Gerard about Kimble's whereabouts. The Cage Nov 24, 1964 While working as a handyman in the predominantly Hispanic fishing village of Puerto Viejo, Kimble becomes aware that the area is beset with a plague epidemic and he's forced to call the state health inspector to have the entire area quarantined. But he soon finds himself trapped when the local doctor suspects his true identity and the irate villagers set out to find him. Cry Uncle Dec 1, 1964 After finding refuge in an orphanage, Kimble becomes entwined in the plight of a troubled teenage boy who passes him off as his uncle. Detour on a Road Going Nowhere Dec 8, 1964 While working as a hotel steward in Wyoming, Kimble is forced to run after learning that another hotel employee has stolen hotel funds, and Kimble becomes the suspect. Kimble escapes on a tour bus containing a bickering couple called the Langners, a visiting spinster named Louanne, a local guy named Sandy Baird, and the bus driver. But Kimble becomes trapped when the bus breaks down on a back road, and all the passengers discover his secret when his identity is revealed over the radio. Held at gunpoint, Kimble must find a way to escape by emotionally getting between his various captors before the bus driver returns with the police. The Iron Maiden Dec 15, 1964 An industrial accident traps Kimball and some government workers underground. A member of the trapped group wants to turn Kimball in as soon as they are rescued. To add to Richard's problems, Lt. Gerard is waiting above at the only exit. Devil's Carnival Dec 22, 1964 Kimble unwittingly hitches a ride with Hanes McClure,a wanted criminal out to settle a score in his Georgia home town. When Hanes attempts to crash a barricade, and Kimble grabs the wheel to save an innocent life, but it gets both of them arrested. Both Kimble and Hanes then endure the spectacle the small town makes of the double arrest. Ballad for a Ghost Dec 29, 1964 Kimble finds himself working with Hallie, a woman who bears a strong resemblance to his late wife. Hallie knows of the resemblance, and Kimble's danger is increased when Hallie's husband becomes jealous. Brass Ring Jan 5, 1965 In Santa Monica, California, Kimble is hired by Norma Sessions to help care for her invalid brother Leslie, who was crippled in a car accident. Kimble doesn't realize that Norma, with her boyfriend Lars, are ploting to murder Leslie to collect his insurance money. When Norma suspects Kimble is hiding from the police, she plots to frame him for Leslie's murder. The End is But the Beginning Jan 12, 1965 Kimball takes advantage of a deadly car accident as a way to try and convince Gerard that he is now dead. Nicest Fella You'd Ever Want to Meet Jan 19, 1965 While traveling though a small town in Arizona, Kimble is arrested by the brutal and sadistic Sheriff Jo Bob Sims whom has political ambitions. Sheriff Sims (unaware of Kimble's true identity) subjects him to slave labor with a group of other vagrants he arrests on a daily basis for no reason other than to torture or humiliate them. When Kimble witnesses Sims murder another prisoner and has the equally corrupt mayor and town council cover it up to look like an accident, Kimble becomes aware that his own life is in danger. Fun and Games and Party Favors Jan 26, 1965 While working as a chauffeur for a wealthy family, Kimble learns that the teenage daughter of the family is dating the pool cleaner. While chaperoning a party for the daughter's friends, Kimble throws out a unruly young man who crashes the party. But Kimble is soon faced with a little blackmail when the man turns out to be a crime buff and recongizes Kimble from a police magazine. Scapegoat Feb 2, 1965 A man who knew Kimble during one of his disguises, meets him again. He tells him that on one of his hurried, silent departures from a town, he left behind evidence which indicated he was dead and an innocent man is being held for his murder. Corner of Hell Feb 9, 1965 On the run from Gerard, Kimball stumbles onto private property belonging to a family of moonshiners. When Gerard gives chase on foot, he too is caught by the backwoods family, and is accused of attacking one of the girls in the family. Kimball has to decide whether or not to keep the family from killing Gerard. Moon Child Feb 16, 1965 Kimble arrives in a small town where women are being murdered by an unknown serial killer and a vigilante mob mistakes Kimble (a stranger in town) of being the killer. Kimble hides out with a mentally retarded young woman named Joanne Mercer, a 'moon child' befriends Kimble and hides him in the basement of her house which is connected by a underground tunnel to a closed-down textile factory where the real killer is hiding out. 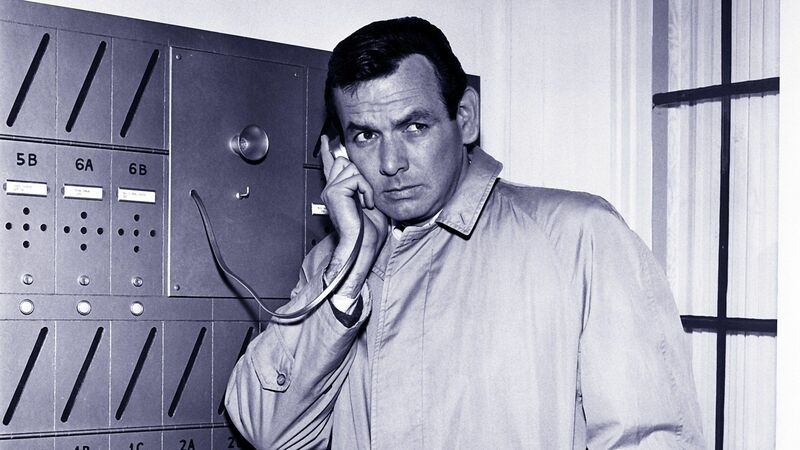 The Survivors Mar 2, 1965 Richard Kimble returns home when he learns his wife's family is in financial trouble. The complications are that his mother-in-law hates him, his sister-in-law loves him, and his father-in-law is being questioned by the police. Everybody Gets Hit in the Mouth Sometime Mar 9, 1965 While working as a truck driver for a small freight company, Kimble discovers that his angry and bitter boss, Gus Hendrick, is being blackmailed by Lucia Mayfield, the wife of his late business partner, into paying her bills and for child support since Mr. Mayfield was killed a year earlier in a driving accident. But Kimble later learns that with Hendrick strapped for money, and Lucia merely squandering the blackmail money for her own selfish purposes, Hendrick plans to hijack one of his own trucks to collect an insurance settlement. May God Have Mercy Mar 16, 1965 While working as a hospital orderly, Kimble is recognized by Victor Leonetti and his wife Anne whom hold Kimble responsible for the death of their daughter. Kimble tries to flee, but gets shot and is forced to undergo surgery for the gunshot wounds. But when Victor learns that Kimble was trying to contact a specialist at the time of the girl's death, he tries to make amends by confessing to Gerard, whom arrives at the hospital, that he was the one who murdered Helen Kimble. Masquerade Mar 23, 1965 While traveling through an small Oklahoma town, Kimble is arrested, not because the police recognize him, but because they've mistaken him for Leonard Hull, a former numbers runner about to testify against a big-time racketeer, whom has run away from a witness relocation program in that very town. Kimble is taken to a motel where Leonard's wife, Mavis, knows he's not Leonard in which Kimble asks for her help to get away from the police, and a local hit man pursuing them. Runner in the Dark Mar 30, 1965 A woman calls the police after she recognizes Kimble's picture on a TV quiz show and in the ensuing manhunt, Kimble hides out in a home for the blind. Kimble becomes acquainted with some of the residents, including the attractive Claire Whittaker whom he assists, as well as Pete Haskell whom Kimble discovers is not really blind and was actually temporarily blinding in a school bus accident months earlier which Pete blames himself since he was driving drunk at the time. But one of the residents is a certain Dan Brady, a veteran lawman whom was blinded in the line of duty and has now been put out to pasture. Brady remains bitter for having lost his position as the town's sheriff to the younger, more educated, but less experienced, Barney Vilattic. When Brady suspects Kimble's true identity, he sees an opportunity to capture the fugitive to reclaim his former job. A.P.B. Apr 6, 1965 Kimble hops onto a freight train and finds himself in the company of three escaped convicts (two of which are wounded during their escape). One of the convicts dies from his wounds while the second one, a brutal murderer named Neil Pinkerton, forces Kimble to treat his leg wound. Pinkerton decides to keep Kimble as a hostage as a safeguard against the police. Pinkerton, Kimble, and the other prisoner, named Matt Mooney, seek refuge in a farm house owned by widow Mona Ross and her mother whom recognize all of them and treat Kimble, Mooney and Pinkerton as their celebrity guests. The Old Man Picked a Lemon Apr 13, 1965 While working as a ranch hand on a California citrus farm, the owner, Leland Hagerman, suddenly dies in an accident and the man's racist and sadistic son, Blaine, arrives to stake his claim to the place and sees everyone as expendable, including Kimble whom must find a way to quietly slip away with the help of the Hispanic workers before Blaine stumbles upon his true identity. Last Second of a Big Dream Apr 20, 1965 Barry Craft figures he'll get some publicity by arranging to have Kimble captured at his wild-animal show.